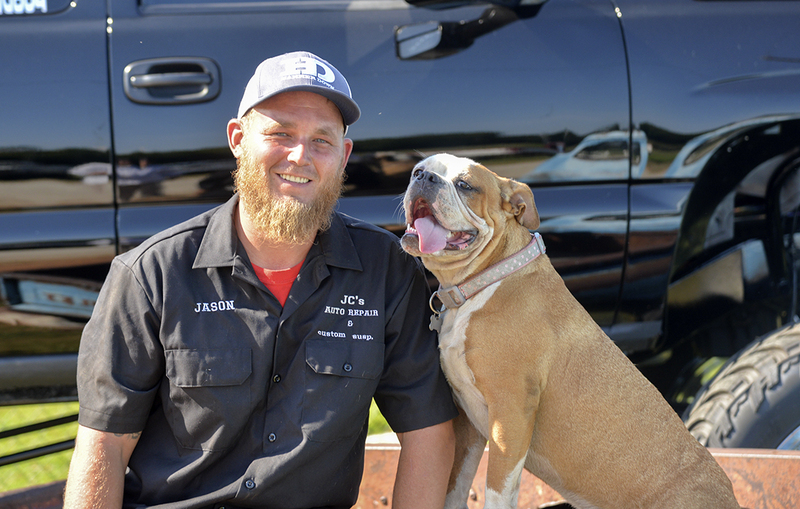 Every once in a while, you might find Jason Cooley gazing at the stars from his auto repair and custom suspension business in Cross Hill. The business day ends at 6 p.m., but that’s often when the big projects receive uninterrupted attention. The hours he puts in are his prerogative. If you prefer hands-on instruction to sitting in a classroom, and you're fascinated by anything with an engine, Automotive Technology at Piedmont Technical College may be the right career path for you. Specialized technicians can focus on engine repair, manual drive train and axle, brake, heating and air conditioning, automatic transmission/transaxle and more. Job advancement in this field come with experience, further training and national certification tests. The U.S. Bureau of Labor Statistics projects employment in this field to grow by 5 percent from 2014-2024. Students receive one-on-one instruction from experienced faculty in our state-of-the-art facility. Training is available in eight areas of automotive service: engine repair, engine performance, electrical and electronic systems, manual drive train and axles, automatic transmission/transaxle, suspension and steering systems, brakes, and heating and air conditioning. Students also learn customer service skills needed in today's automotive shop environment and develop strong work habits.